Despite my love for designer clothes, some of my favorite wardrobe staples are inexpensive pieces that I found at Forever 21. Case in point, my long cozy cardigan that I scored for less than $30 last year. 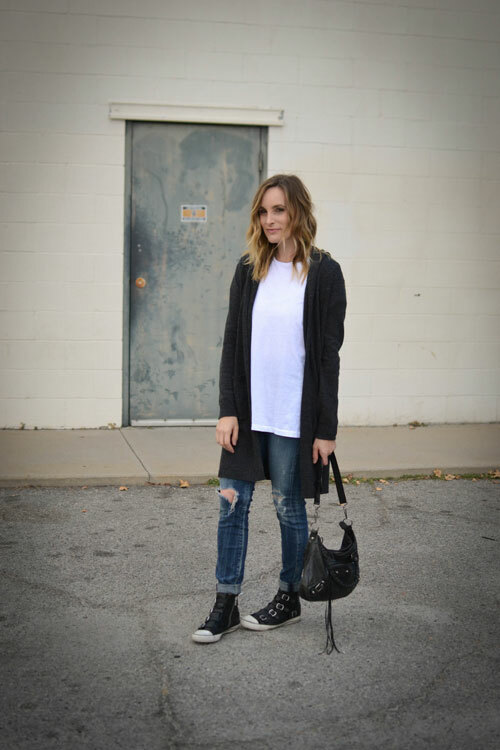 I threw it over a slouchy white tee, distressed skinny jeans and my favorite high top sneakers for a comfy/edgy weekend look. 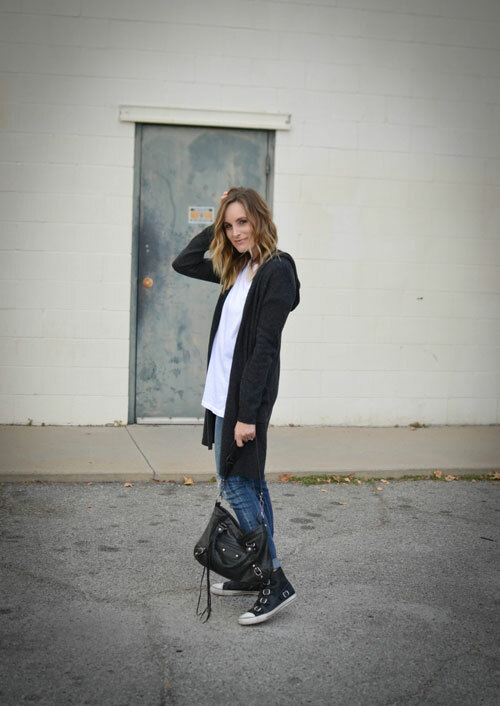 Great cardigan! You're looking lovely in this comfy outfit. Amazing look!! Love the cardigan.